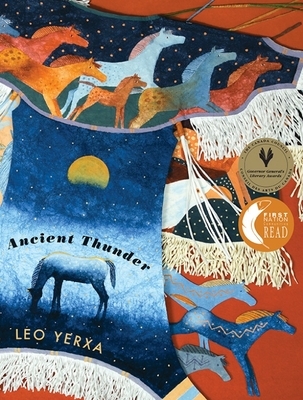 Author and illustrator of the noted and multi-prize-winning Last Leaf, First Snow Flake to Fall, Yerxa has once again devoted years to creating a book that is simply a piece of art reflecting his sense of nature and the place of native people within it. Leo Yerxa was born on the Little Eagle Reserve in northern Ontario. His first book, Last Leaf, First Snowflake to Fall, was nominated for a Governor General's Award and won the Amelia Frances Howard-Gibbon Award, the Mr. Christie's Book Award and the Elizabeth Mrazik-Cleaver Award. He is also the author of another highly acclaimed picture book, A Fish Tale. He lives in Ottawa, ON. "In both their content and feel, the compositions . . . evoke a sense of wonder . . . aspiring artists and those interested in native cultures . . . may well find much to linger over."